Family Law, Personal Injury, Commercial Litigation And Bad Faith Insurance Representation Our legal practice requires constant compassion and attention to detail in sensitive, high-stakes and emotionally charged situations. Each area of our legal practice involves clients who feel they have been wronged and that they deserve strong legal recourse. We identify with and listen to our clients. When you need skilled, reliable legal counsel to secure justice, the Apffel Law Firm is ready to serve you and fight for you. Attorney E. A. "Trey" Apffel III takes the time to listen to your legal needs, provide you with a comprehensive evaluation of your legal matter and discuss your full legal options. We achieve positive outcomes built to last. Trey's astute negotiation strategies and preparedness to litigate when necessary give your case the upper hand against even the strongest opposition. We vigorously protect your rights and advocate creatively based on the principles and facts of your case. 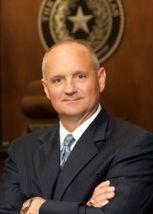 Galveston County, Brazoria County And South Houston Legal Specialist Trey Apffel is a board-certified specialist in both civil trial law and personal injury trial law by the Texas Board of Legal Specialization. Only 10 percent of the licensed practicing attorneys in Texas are board-certified specialists, and only 2 percent hold these dual certifications. Trey Apffel has a primary focus in personal injury litigation, automobile, trucking, industrial and maritime accidents, toxic torts, and medical malpractice in state and federal court. His practice also includes family law and divorce.